Today, many amplifiers do not have a specific phono cartridge input. Phono Box MM is an ideal phono preamplifier for these hi fi systems. Phono Box MM accepts MM cartridges and offers an audiophile music experience at an entry level price. Advanced circuitry keeps noise and distortion at a surprisingly low level. The metal case shielding and an outboard DC power supply leave no risk for external interference. Because of its small casing, Phono Box MM can be placed near the turntable. Input and output sockets a re gold - plated for preservation of quality. 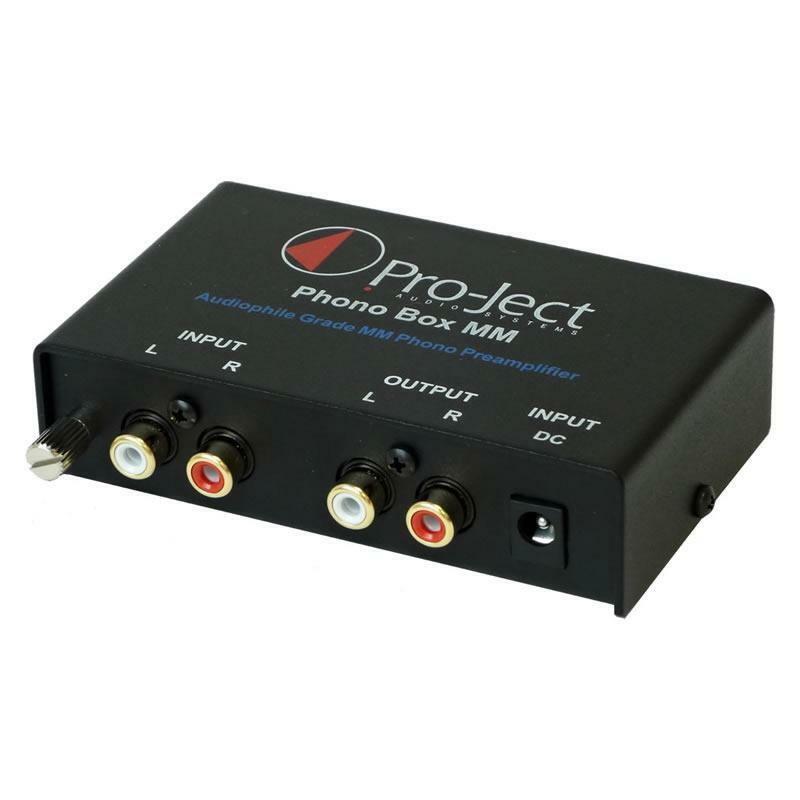 Phono Box MM can be connected easily to a line - input (AUX etc) of your amplifier.